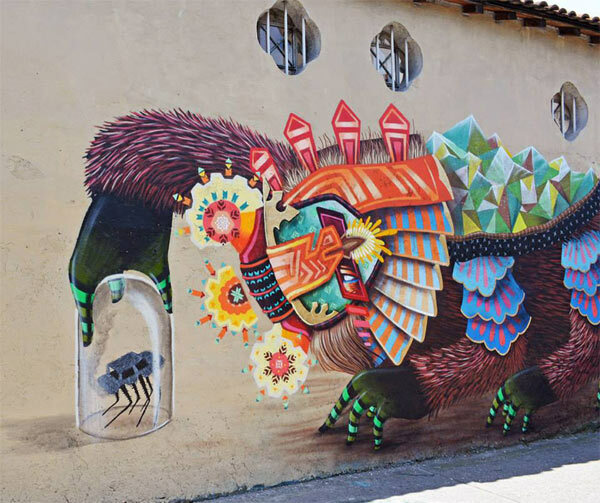 For today’s post I have put together a great collection of street art pieces by Mexican urban artist Curiot, real name Fabio Martinez. 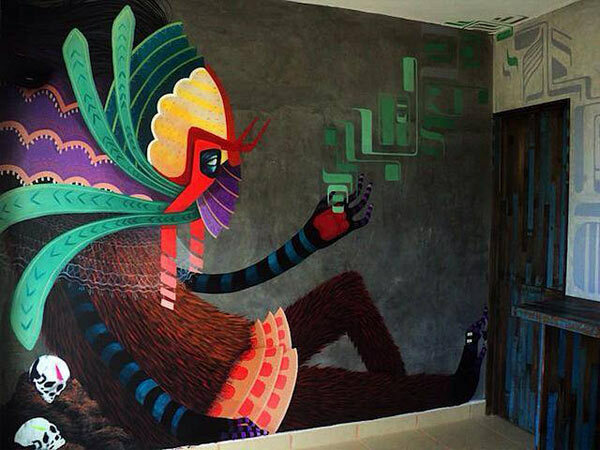 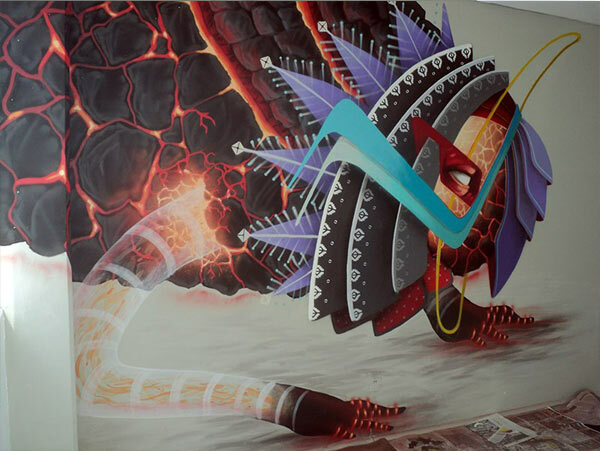 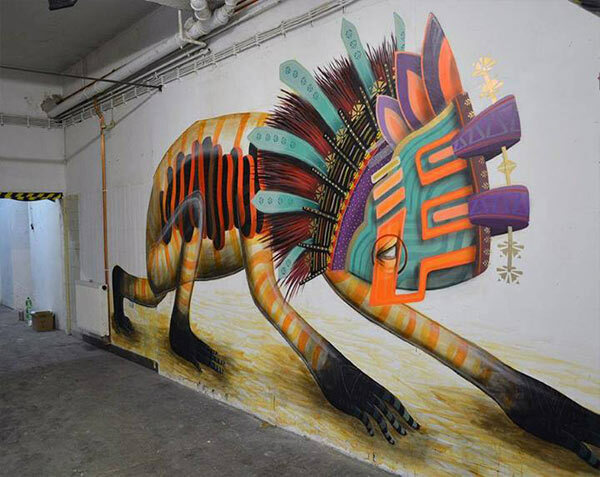 He specialises in highly stylised creations heavily inspired by traditional Mexican art. 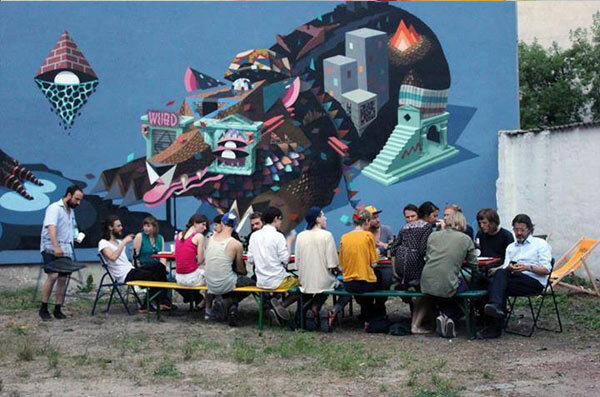 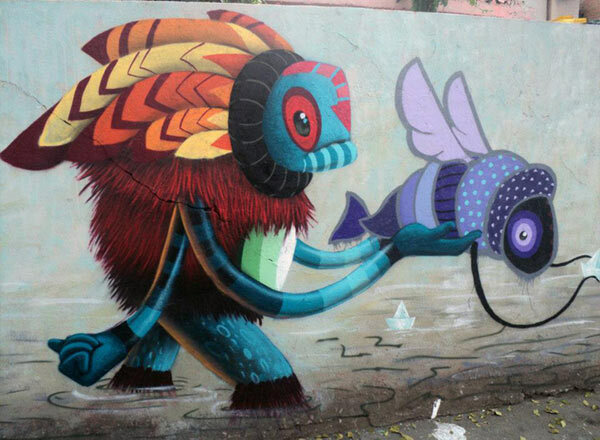 His characters and creatures are often half human and half animal with heavy symbolism and vibrant colours. 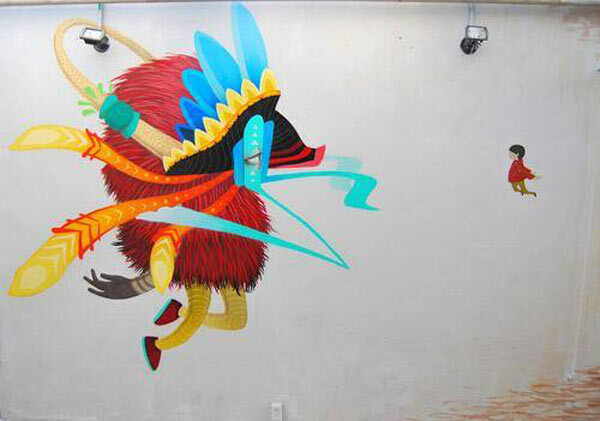 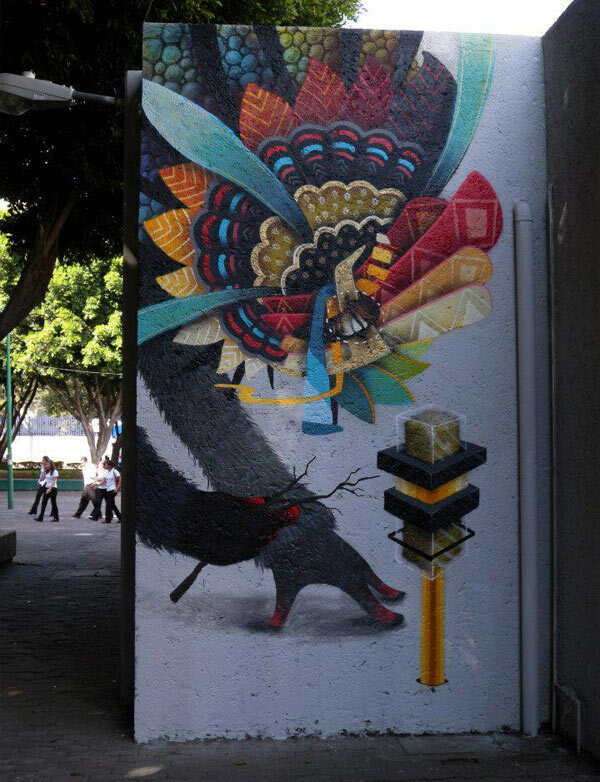 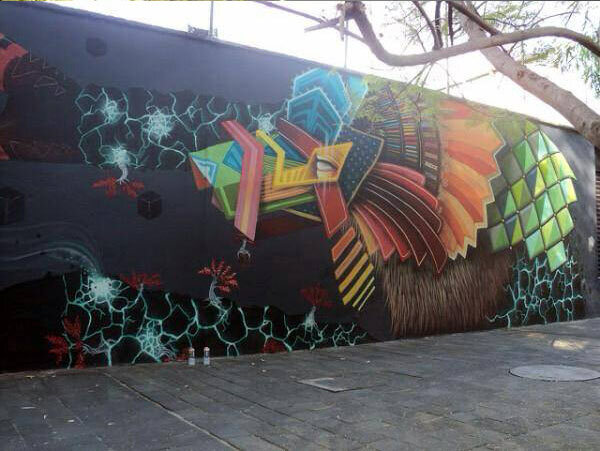 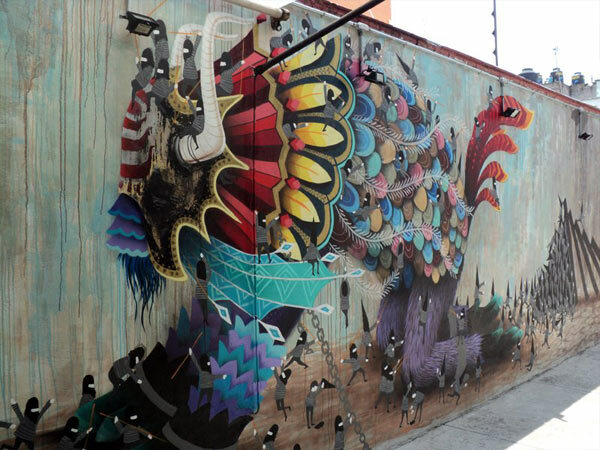 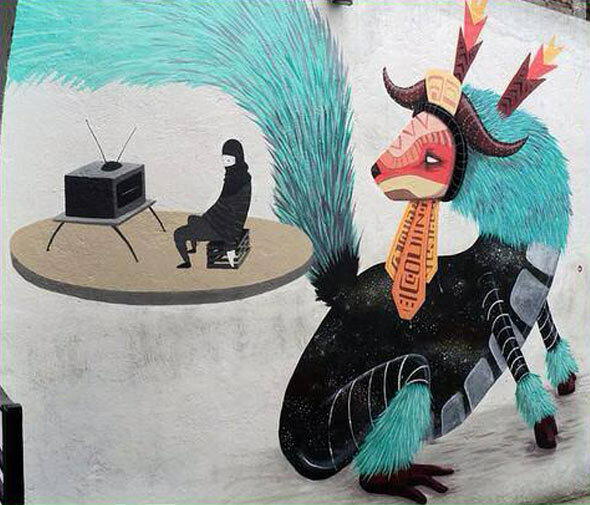 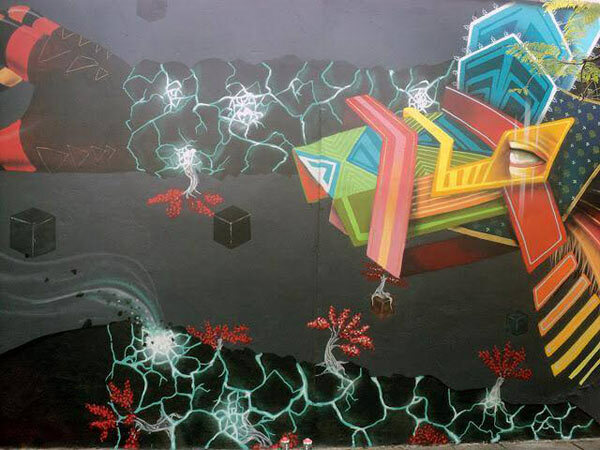 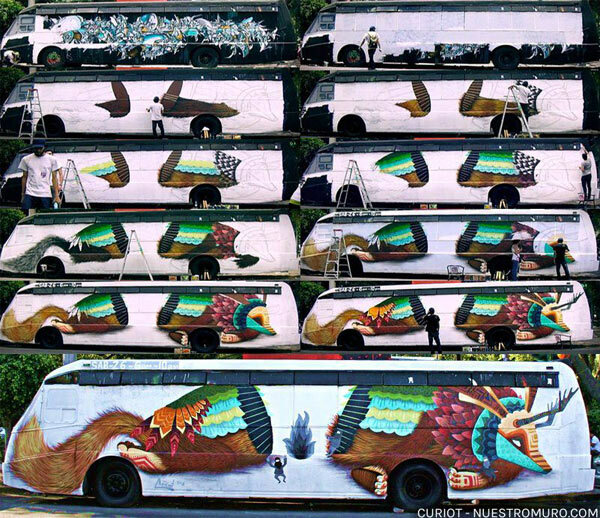 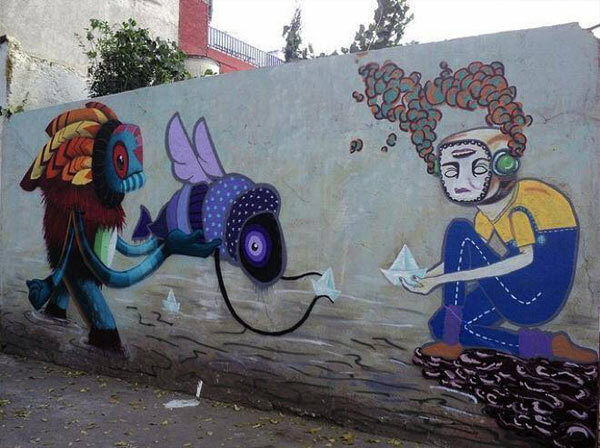 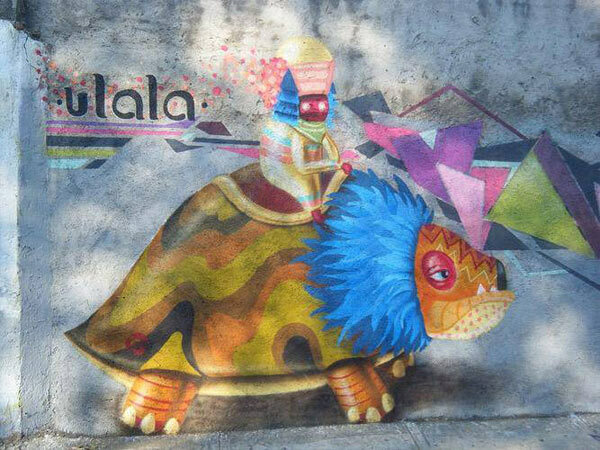 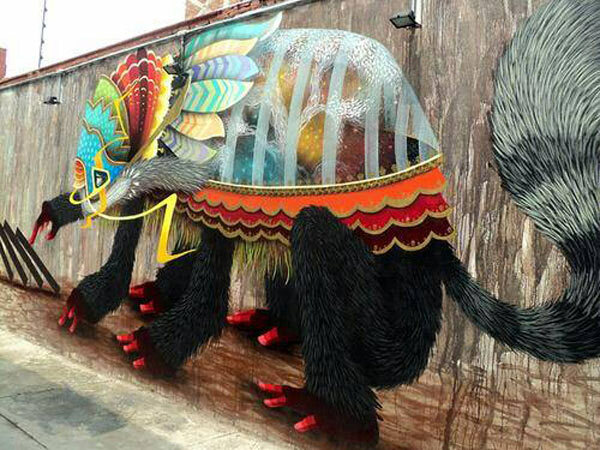 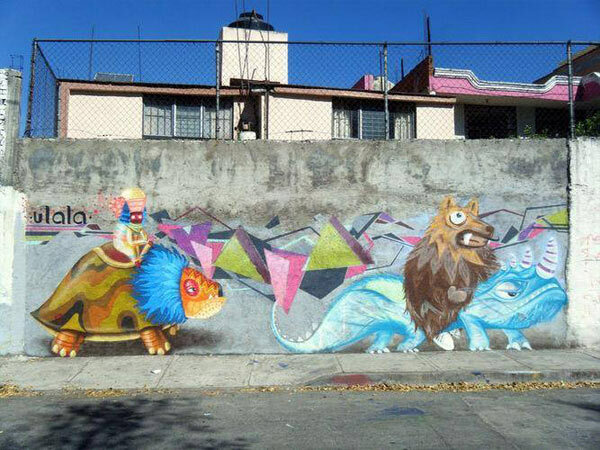 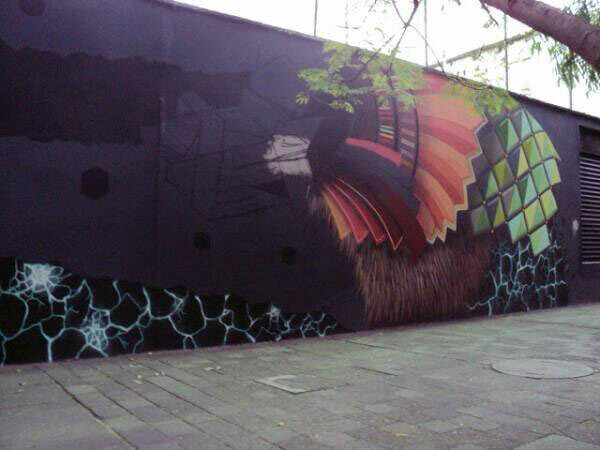 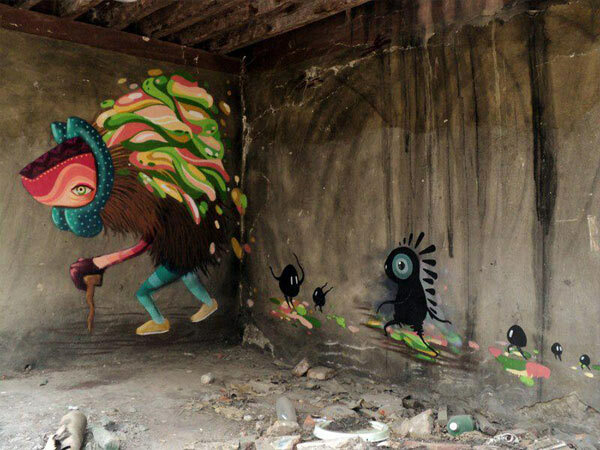 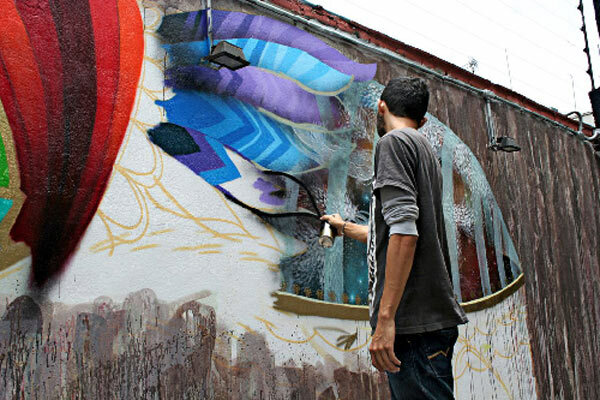 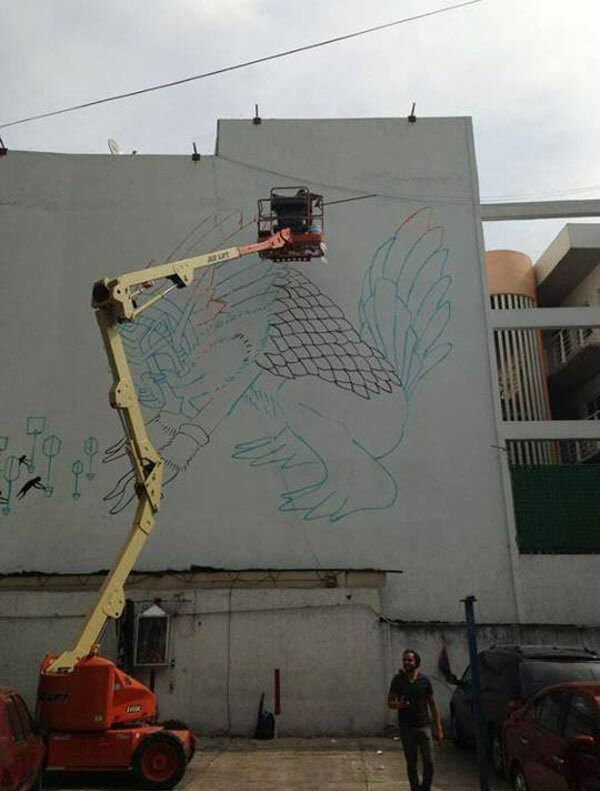 Curiot is a young artist from the Mexican state of Michoacan. 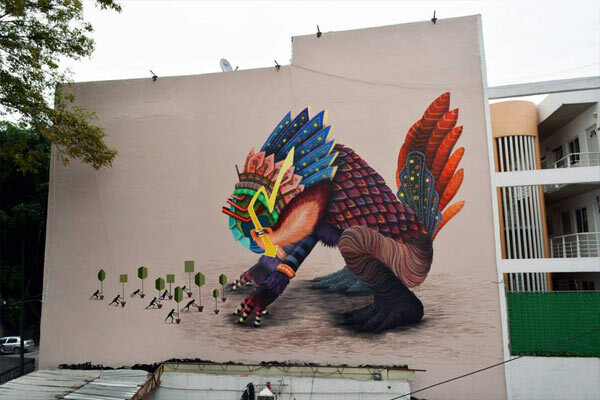 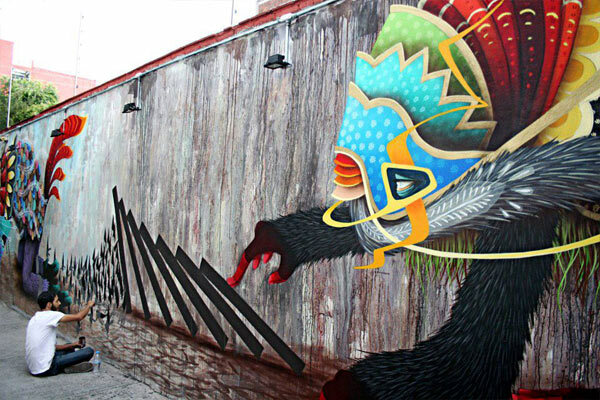 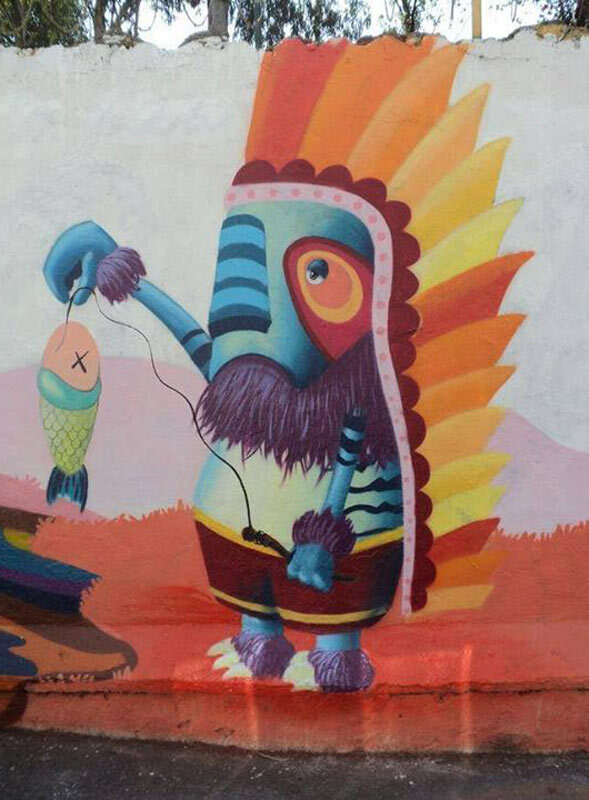 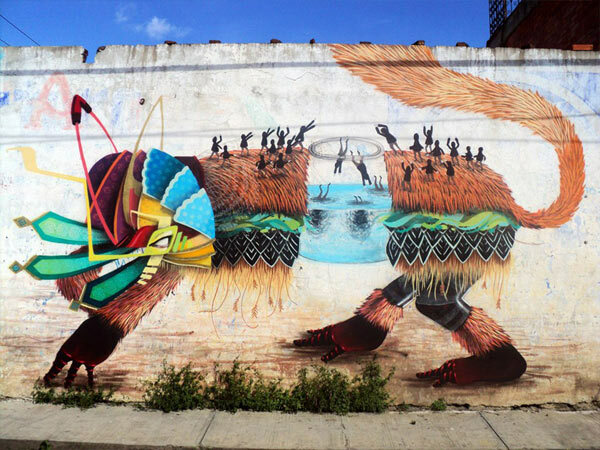 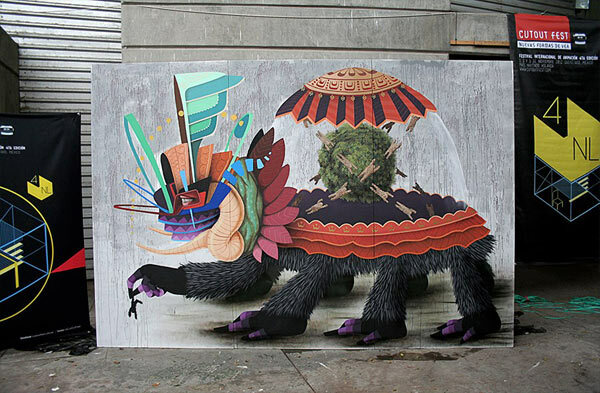 He combines themes such as consumerism and pollution with fantastical characters with pre-hispanic traits calling them Curiolis. 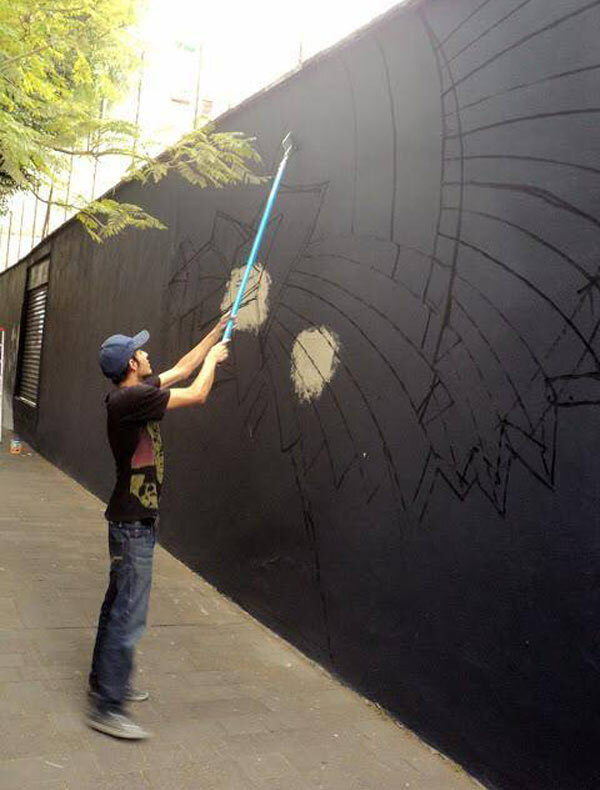 His work invites interpretation but can also be enjoyed in the most simple of terms. 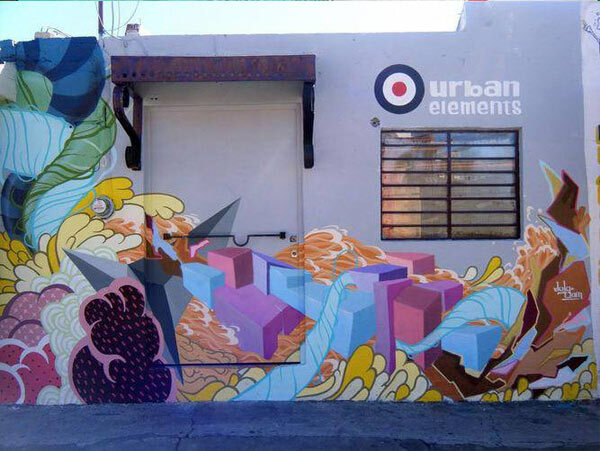 Catch up with the latest from Mr Pilgrim including new street art from many urban artists from all over the world on google plus. 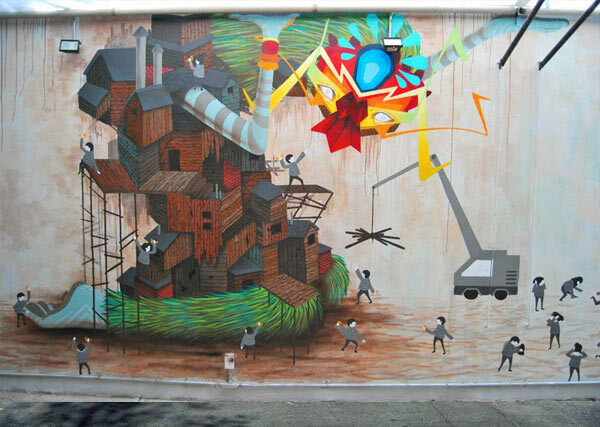 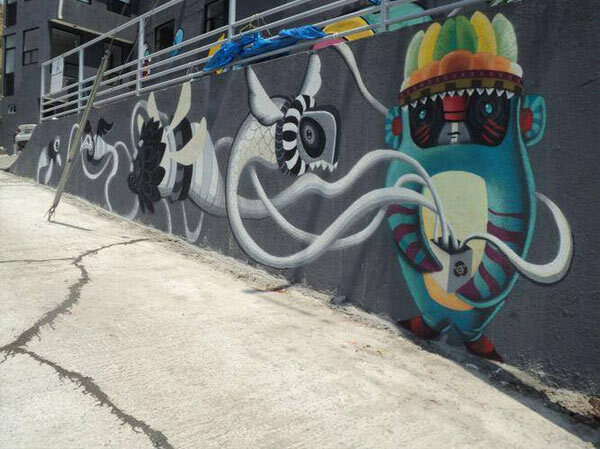 Alternatively check out more work from great urban artists like Curiot on Mr Pilgrim’s street art blog.